Jerusalem: a Religious Mount Rushmore Turning Jerusalem into a city of "Gold" and everlasting "Peace"
Mount Rushmore: an idea for peace between the three Abrahamic Faiths and economic prosperity for Israel and the Palestine. Could the three Abrahamic Religions come to a realization, humble themselves in the face of their ONE and SAME God and reach a final agreement that can resolve the long years of conflicts and blood shed? Could Israel, America and the Arab Islamic nations reach an agreement that could resolve conflicts between the Israelis and the Palestinians, allowing Jerusalem to be the "Shining City" of peace and prosperity for the whole world? We can apply the same idea as Mount Rushmore. Instead of Israeli/Palestinian historic figures, this inspiring idea of a Mount Rushmore for the three Abrahamic religions should focus on the (figures) of the three religions, Judaism, Christianity and Islam! If only the Spiritual leaders of the three monotheistic faiths, (the Koran called them "People of the Book") could realize their calling, Jerusalem would become the "Mount Rushmore" for the three Abrahamic Faiths. Just like America honored their Founding Fathers, the three Abrahamic religions would honor their Founding Fathers, but instead of images of the religious leaders, symbols of each faith could be carved into a mountainside and Jerusalem then could become a world Mecca-like center of worship and fellowship with God and each other, while bringing economic prosperity. On the 38th parallel between North and South Korea, a statue of Jesus and a statue of Buddha stand on the same mountain and people of both faiths gather there to pray for peace and reunification of the Korea. Reverend Sun Myung Moon has fulfilled this vision in Korea, He built the largest Temple that accommodated all four major religions. Over two thirds of the world population belong to the three Abrahamic Religions, most of them are Christians and Muslims. We are talking about at least four Billion people! Imagine how many people would want to pay a visit to the Holy Land, at least once in their life time. Imagine how much money can pour into that country! There will be enough money to build a mansion for every Israeli and every Palestinian and enough money to end world hunger!!! Look at Mecca, out of two billion Muslims in the world, over two million people visit, for "Hadj" to this Muslim Holy place every year! Keeping in mind, Hadj could only be done once a year on a specific month. Imagine, keeping Jerusalem PEACEFUL open all year long, billions of tourists will pour into this Great Holy Land.!! 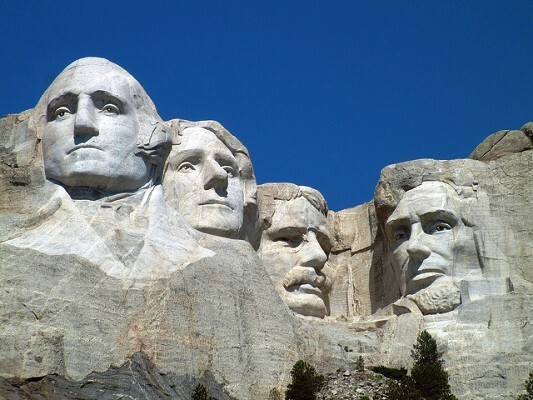 If we look into what inspired the great South Dakota state historian and politician, Don Robertson, to come up with the Mount Rushmore idea in 1923, it was done for economic reasons! He wasn't thinking of presidents, national history and so forth. He was only concerned about the economic condition of his State. He wanted to attract "Tourism" to South Dakota. He knew that tourism will be a big part of South Dakota's economy. Mr. Robertson originally thought of carving famous Western historic figures, people like Buffalo Bill, Lewis and Clark, Chief Red Cloud. But later, it dawned upon him that he should carve a Monument of a National focus that will attract people around the the United States and even the world. How about a Temple for Judaism! In order to be fair, Israel should build a Temple to accommodate Judaism. There is plenty of land to build the Temple. Good peaceful and devout religious people of the three religions should be extremely careful of far extremists movements that are calling for DOOMS DAY! Jewish and Christian extremist movements have a strange and dangerous idea about where the Temple should be built, they are calling for Muslim's "Dome of the Rock" to be taken by force, so that the Temple could be built on this site! This dangerous idea could surely lead to the most catastrophic war the world ever seen! I have an idea where the Temple should be built...It could be built on the cemetery ground on the west side adjacent to the Waling Wall!! The entire area could become a national cenotaph. "If my people who are called by my name humble themselves, and pray and seek my face, and turn from their wicked ways, then I will hear from heaven, and will forgive their sin and heal their land."